Instead of download all of them and keep it in a folder (only one for all your project using this lib or a duplicate inside each projects), make only a link to the repository. For example, my project use Papervision 3D. 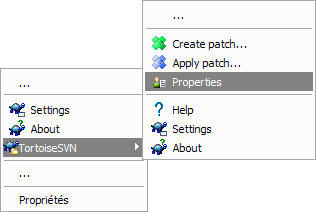 I need juste add “svn:externals” property to my root folder of classes. Now commit and update your local copy. You can also use SVN tags. I haven’t test it yet but it’s what I’ll need!